Bali is not overwhelming in size, but with numerous interesting and diverse places to pick from, it can be hard to choose where to stay in Bali. To help you a little, we have created this “Where to stay in Bali” guide. 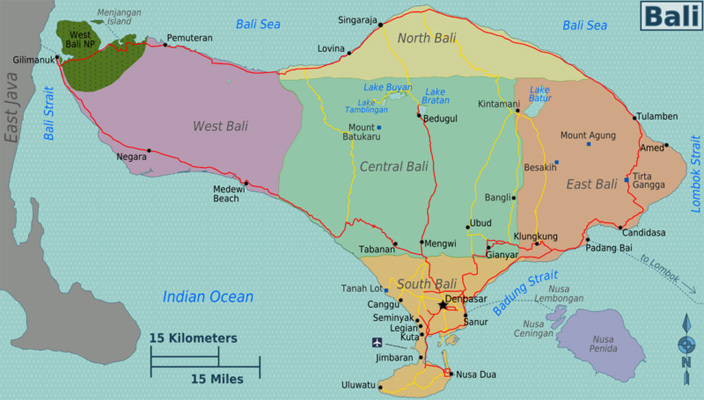 Take a look at the table at the bottom of this page for a quick overview and learn more about Bali’s different destinations by using the navigation on the right of this page (at the bottom if you are using a mobile device). Already know where to stay? Take a look at our more than 600 holiday villas in Bali. Below a quick overview of the most popular destinations in Bali. To read more about them click on the destination name in the table. Bali's style Mecca. Chic boutiques, classy dining and stylish beach bars. Semi-rural beachtown. Easy access to South-Bali's attractions. Island life as in Bali 25 years ago. A 10 km long string of idyllic fishing villages. Quite seaside town in a rural setting. The Beverly Hills of Bali.